Hmmmmm. 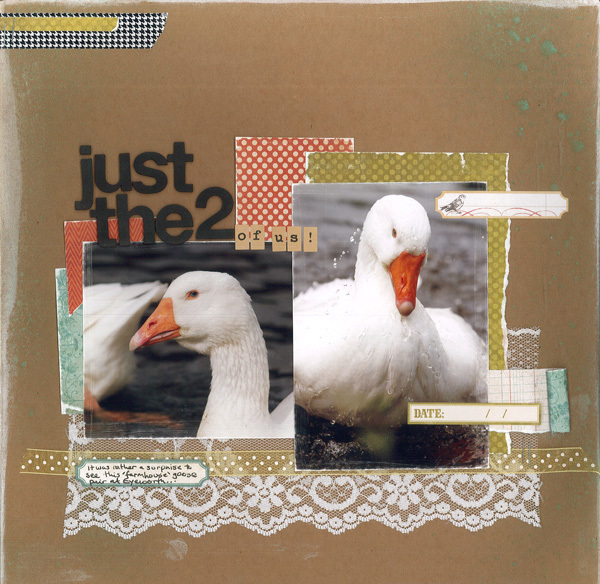 I'm still not sure that a random goose bottom counts as "just the two of us", but I really like your page anyway!!! Quite enjoyed this challenge, thanks! Katy where and when is the crop I would love to come along if I can? - I live in Ashley Heath. Hi Claire! You can check out the Crafty Moments group on Facebook for all the info!